CLICK ON "BUY IN BULK" ABOVE AND SAVE $$$, SEE OUR BULK PRICING! 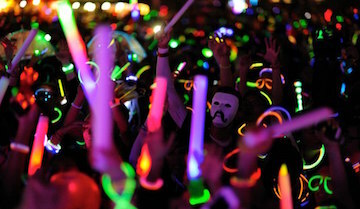 These "LED FOAM STICKS" are 18” long and 1.5” wide, the "LED FOAM STICKS" are the ultimate hand held party GLOW LED tools and great for giveaways or income generators. IF YOU ARE QUOTED A BETTER PRICE PLEASE CALL, WE GUARANTEE THAT OUR PRICE WILL BE THE LOWEST!!! ORDERS OVER 10,000 PLEASE CALL TO CHECK AVAILABILITY! NIGHTCLUB OWNERS AND PROMOTERS, FOR SPECIAL WHOLESALE PRICING, CALL US WITH THE NAME OF YOUR VENUE AND WE WILL WORK WITH YOU.